What is personal asset lending? “Personal Asset Lending” has become a popular term as the types of items that can be used as collateral have expanded. The terms can vary depending on the lender, who may or may not be a licensed pawnbroker or regulated financial institution. Any loan that is secured against non-payment by an asset that can be surrendered and resold is an Asset-Based Loan. If you have a mortgage on your house or a car loan, these are both asset-based loans. (ABL). They are less risky to a lender because, if you default on the loan payment, the lender can keep the asset to resell. Pawning is technically a form of Asset Based Loan, typically of lower value than other types of loans. However, in recent years as lending to businesses from traditional institutions has tightened, asset-based loans for anywhere from $500 up to $1 million have become more popular. Recently we've seen an increase in online-pawners and high-end lenders, accepting assets of many types, from watches to designer purses to wine collections and cars. One driver of the trend is small business owners, who typically would finance their enterprises with credit cards or home mortgages. The housing market crash of 2008 tightened bank lending, giving small businesses fewer options for raising moderate amounts of short-term capital. The classic retail pawnshop is thought of as taking anything from toasters to guitars. But there are all kinds of pawn shops. The assets they accept depend on the location and trade of the shop, the expertise of the owner, and his confidence that he can sell the item if the pawn is not redeemed. The National Pawnbrokers Association pegs the average pawn loan at $150 for a retail pawnshop. 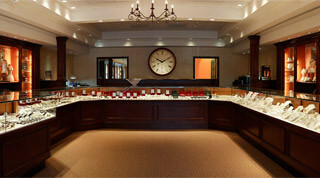 Specialty Pawnbrokers, like Palisade, have one or two categories of assets they will pawn. Palisade is a hybrid between the online high-value ABLs and a typical pawnshop. We pawn gold, diamonds, watches, and fine jewelry, because our family has worked with these types of assets since 1947, and we have developed a national network and a ready market for them. Our minimum pawn is $500. Online Asset Based Lenders are now accepting a range of high-asset collateral - jewelry, watches, and precious metals - but also fine art, fine wine and high-end luxury automobiles. They are often lending to high-net-worth individuals who anticipate large year-end-bonuses and who consider possessions like art and designer goods to be liquid assets, rather than items of sentimental value. Typical loans start around $10,000. There are two key differences: the timeframe of the loan, and the need for a financial institution. Pawns are immediate and short-term. The loans are typically short-term, 30-90 days, and may be renewed, depending on the agreement. A pawn is a private transaction: it does not generate a credit record, and it does not require disclosure of private financial information, such as a bank account. If your asset is acceptable to the pawnbroker and their terms are acceptable to you, you receive cash on the spot. Government issued ID is required at the time of the loan, but no other personal information. Asset-Based-Loans can be negotiated for longer timeframes. If it is an online asset-based loan service, it will take longer to negotiate the loan. The item is typically discussed by phone, sent to a facility for assessment, and then either a loan offer is made or the item is returned. There may be service fees involved, in addition to shipping and insurance. Asset-Based Loan funds are usually deposited directly into a financial account, which requires the disclosure of financial information, such as your bank account number, and which generates a record of the loan. If you default on a loan with a retail or online pawnshop, ownership of the asset reverts to the pawnbroker and they then sell the asset at whatever profit or loss they can to recoup lost cash. You as the borrower have no further responsibility. Any payments made before defaulting are forfeited to the broker. Personal asset lenders make money from interest charges, like a bank, and are willing to loan for longer periods of time. If you default with a personal asset lender, they take possession of the collateral in order to sell it on your behalf. Depending on the original terms of the loan, they will charge you for the expenses of the sale, deduct their fees from the proceeds, and return the difference to you. A loan from an online pawnshop or a personal asset lender will not affect your credit. They do not report to credit agencies or require the use of collection companies.